Monitor and manage your servers. Continuously performing resources checks (CPU, Memory, Disk Space and Networking utilisation), enabling you the ability to identify problem areas and functions causing performance problems. Email uptime is essential for any business, so when downtime strikes, it puts great importance to be able to resolve the problem quickly. 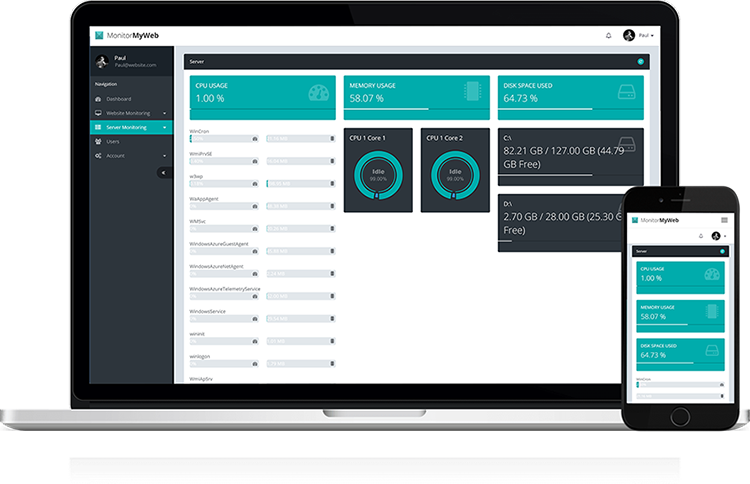 Ensure all individual applications on your server are performing how you expect. 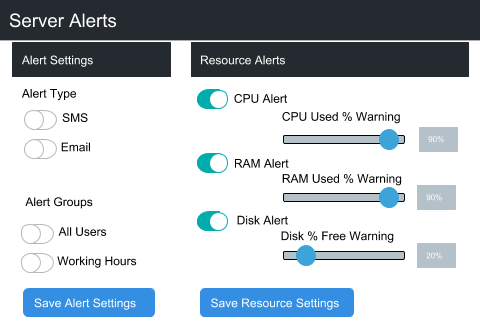 Create process alerts to monitor when applications should be active and inactive to allow for optimal server performance. 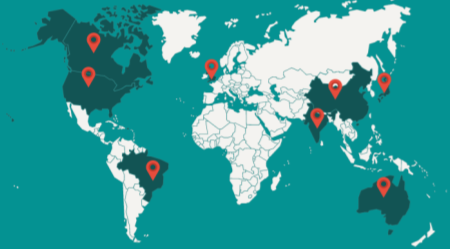 Enjoy discovering performance checks over 6 continents to determine the locations where problems are occurring. Visual and written presentation of data offers quick analysis on a global scale. Create flexible thresholds for alerts on individual processes and resources. Did the CPU spike in the last hour? If any threshold is reached, MonitorMyWeb notifies you via email and/or SMS depending on preference. We do not impose any hidden charges when you want more users to ensure your website is active. 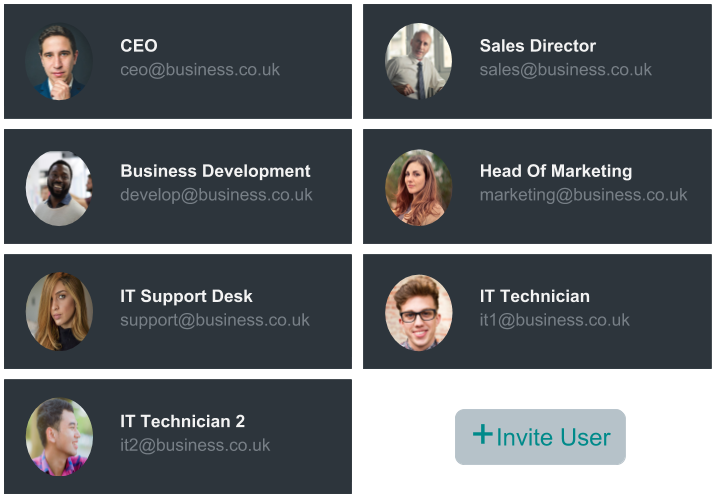 We promote a company and group collaboration with grouped alerts and access to specific data. We all require assistance from time to time. That is why MonitorMyWeb offers expert support who will provide solutions to any questions and we pride ourselves on answering your query as soon as possible because we know how important your website is to you.